Eva's three shelters provide emergency beds for up to 35 individuals when temperatures dip below freezing. 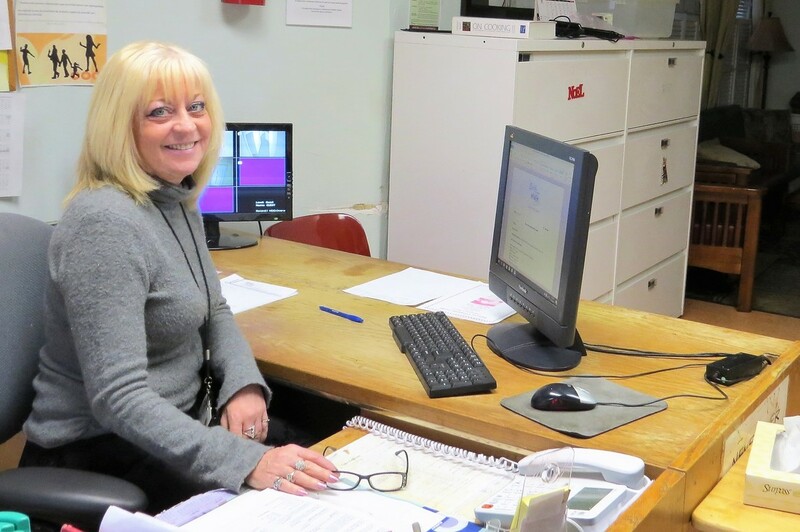 Cathy Xerri, House Manager of Eva's Woman's Shelter, explains how Eva's staff assesses "Code White" guests' needs and refer them to programs and services in the community. Each Code White guest is offered a meal and a chance to shower regardless of the time they arrive at one of Eva's three shelters. During cold weather, all three shelters at Eva’s Village add extra beds for men, women, and mothers with children who need a warm place to sleep. 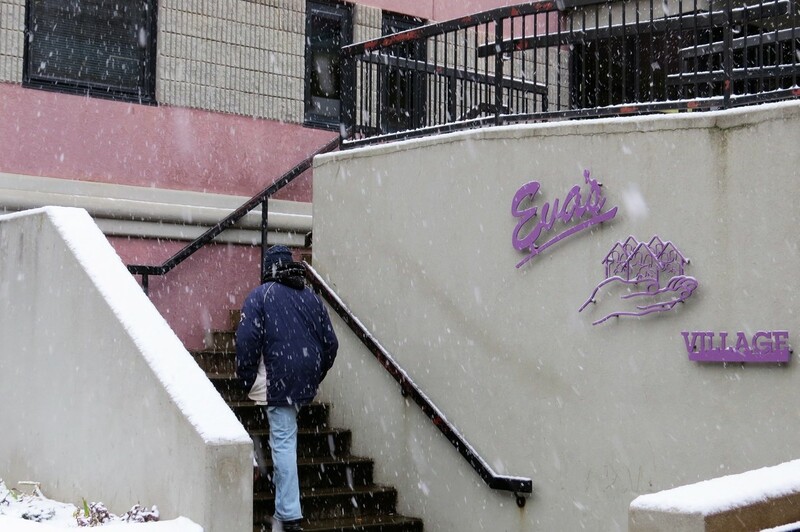 When temperatures fall below freezing overnight, Eva’s Village activates a Code White Alert, increasing capacity to offer more homeless individuals a chance to trade a night on the streets for a warm bed. “Our objective is to get people living on the street out of the cold, to give them shelter,” noted Housing Services Manager Tara McCaskill. Eva’s Village shelters usually accommodate 29 men, 36 women, and 7 mothers with up to 15 of their children. In severe weather, Eva’s will often add 12-16 emergency beds each night during Code White Alerts; demand for emergency beds has dropped to an average of 6-8 with this year's milder temperatures. Eva’s Village notifies the police, as well as municipal, county and state agencies when Eva’s calls a Code White Alert. Sub-freezing temperatures also trigger Passaic County’s Code Blue Alert, opening designated daytime warming centers in the community; but these centers don’t offer overnight stays. During a Code White Alert, shelter managers set up mattresses on the floor in common areas, increasing total capacity (87 beds) by nearly one-third across our shelters. “If we have no beds free, we call 211 and reach out to the police,” said Cathy Xerri, House Manager of Eva’s Women’s Shelter. Each Code White guest is offered a meal and a chance to shower regardless of the time they arrive, she explained. People hear about Eva’s shelters through word of mouth, and are referred by the police or other community agencies. The police “bring clients in need of shelter to us, year-round,” said Ms. McCaskill. Staff conduct an abbreviated intake workup and an on-the-spot drug screen for each guest before providing an emergency bed. “This population has a high incidence of mental illness and substance abuse,” noted Ms. McCaskill. “If we suspect impairment due to intoxication, we do not turn clients out, but take them to the hospital to be medically cleared.” The next morning, staff members will complete a full assessment for each guest to help evaluate their overall needs. Code White clients “generally stay just one night, but some may stay longer depending on their situation,” noted Ms. Xerri. Shelter clients have the option to stay for up to 90 days while they work towards stable and independent living. “If we have room, Code White guests who meet our criteria may transition into our shelters and recovery programs, or we will refer them to programs and services that best meet their needs,” she explained.